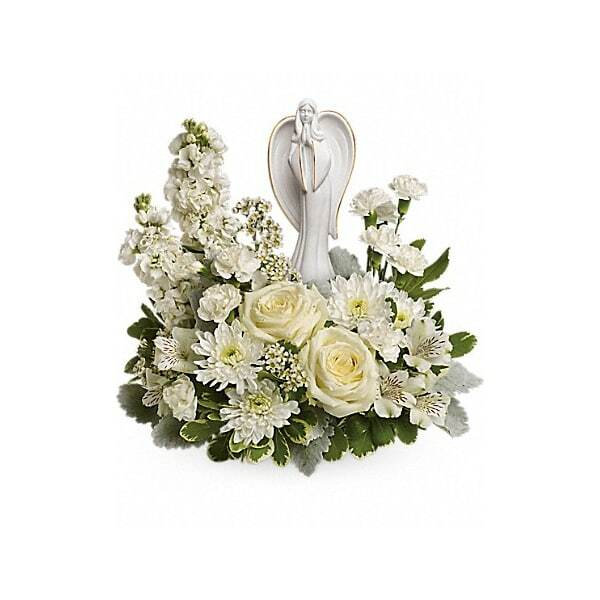 As serene as gently falling snow, this pure white arrangement of roses, astroemeria and stock is a heartfelt symbol of peace and beauty. 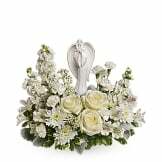 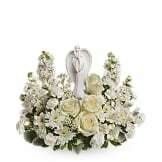 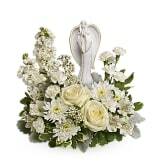 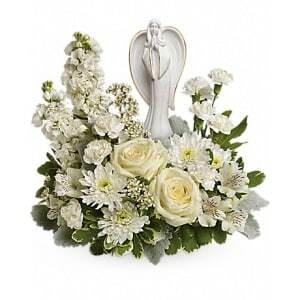 Its graceful angel keepsake sculpture will remain a guiding light to your loved ones for years to come. • White roses, white alstroemeria, white stock, white miniature carnations, white cushion spray chrysanthemums are arranged with white waxflower, dusty miller and variegated pittosporum. 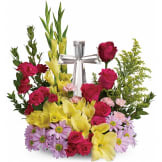 Flowers will be received by a Wozney-Killian Funeral Home's staff. 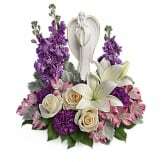 All of our flowers are designed and delivered by hand from a local florist in in Arcadia.